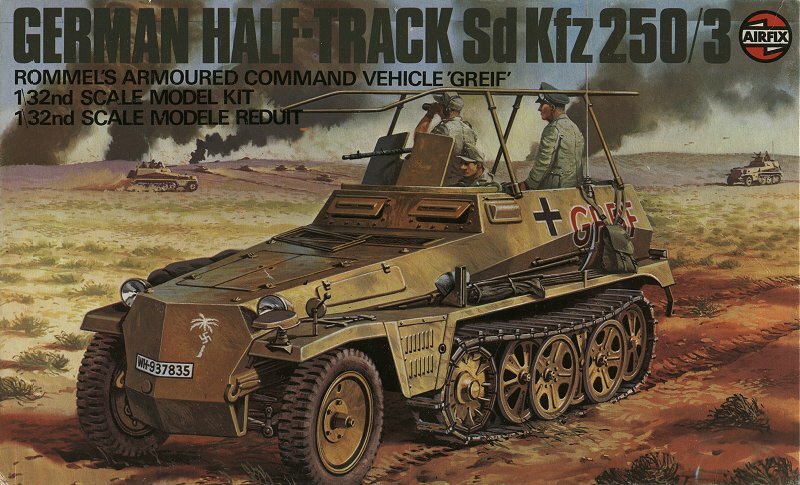 The second in the 1/32 series of famous military personalities and their vehicles, this superb kit of over 200 parts features Field Marshal Erwin Rommel's well-known armoured command vehicle 'Greif', which he used during the Second World War Western Desert campaigns. Produced with the assistance of the Aberdeen Proving Ground in America the Sd Kfz 250/3 half-track model is fully detailed down to the spare MG 34 machine gun, full radio equipment and rubber tyres and track. Three crew members are provided including a finely-sculptured figure of 'The Dessert Fox' himself.